An exciting new release from the Scottsdale Mint in partnership with the Cayman Islands, the 2017 1 oz Silver Marlin is the first in an annual series of Bullion Coins. The inaugural release in the Cayman Islands collection has a limited mintage of just 50,000 and is certain to be in demand. Order your 1oz Cayman Islands Silver Marlin online with coininvest.com to avoid disappointment. The new 1 oz Silver Marlin Coin shows the blue marlin, one of the most iconic symbols of a destination that is known for its luxury lifestyle, its beautiful scenery, and its diversity. The Cayman Islands are home to a wide range of wildlife and marine species and they are a premiere destination for sports fishing, diving, and sailing enthusiasts. 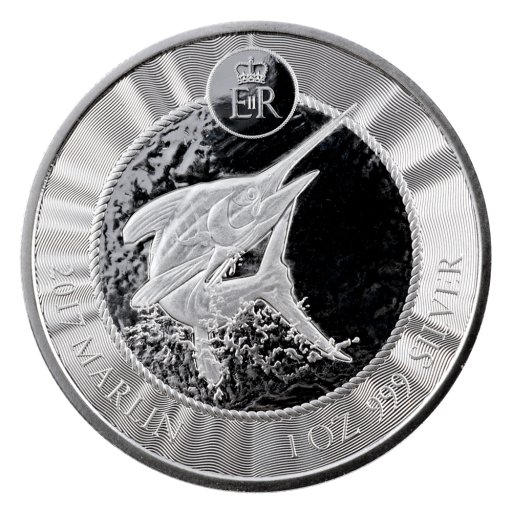 Coin collectors can now enjoy a taste of the Cayman Islands’ luxury lifestyle with the 2017 1 oz Silver Marlin Bullion Coin. Why choose the 2017 1 oz Silver Marlin? Each 2017 Cayman Islands Silver Marlin is struck from one troy ounce of .999 silver by the Scottsdale Mint in Arizona, USA. The Mint produces high-quality coins and rounds that are eagerly snapped up by collectors. The Cayman Islands Silver Marlin 1 oz 2017 coin is the latest in a catalogue that includes the Biblical Series and Egyptian Relics series, both of which can also be found at coininvest.com. The coin’s reverse shows a beautiful blue marlin while the obverse features a portrait of HM Queen Elizabeth II to denote the islands’ status as a British Overseas Territory. 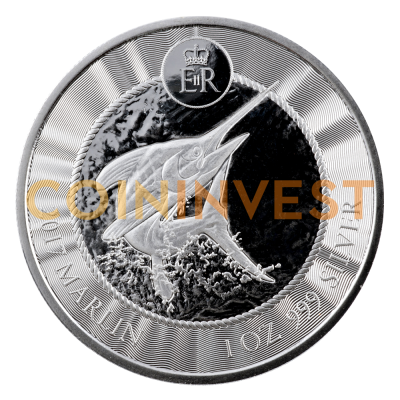 At coininvest.com we strive to find the best investment opportunities for our clients, like the superb 1 oz Cayman Islands Silver Marlin 2017 coin. Buy the Silver Marlin 1 oz coin at the most attractive prices with coininvest.com and add this unique new release to your collection. I really hope this turns into a series. These are absolutely beautiful coins.